From the Book "The Henry Muirheid/ Muirhead family of Virginia & Mississippi" by Ray Jerome Muirhead, privately printed Virginia 1989. Page iii TARTAN is a black and white photo of a tartan outfit of William Muirhead, who emigrated about 1854 from Scotland. The tartan in that photo would set me on a journey of rediscovering the historical sett of our Muirhead Tartan. For over 30 years I have searched books and records for my family’s past, obscured in a past that had been forgotten by most and for some never even dreamed of or imagined. This is but one event of that search, that in its end made all the long nights on the internet and hours spent in libraries and record rooms worth every minute. I had over the years traced my family back across the continent from the West Coast to the east. During this time I have corresponded with many others like me searching for the same thing, some even searching the same family names as I. On one of my long nights of internet travel, I corresponded with a gentleman from Texas, Lt. Col. David Grossett, and exchanged some ancestral information, then later by both e-mail and post. It was among that information that would lead me to another researcher Vernon Muirhead who would put me in contact with but another Muirhead, Raymond Lloyd Muirhead, who’s father, Ray Jerome Muirhead, had published a book about his family research. It was from within that book I would see the photo of the tartan outfit that William thought so much of that he brought it with him when he immigrated from Scotland in 1854. The first obstacle was that the photo itself, it was small and in black and white, sadly not close up enough to get a thread count of nor any hint of colors, but that black and white photo had a hold on me. I could not stop thinking about it or the ways to try to find out more about it. Then there was the short write up on the tartans history in Ray’s book, which did give me a name and the only good lead to who might have the tartan outfit now. 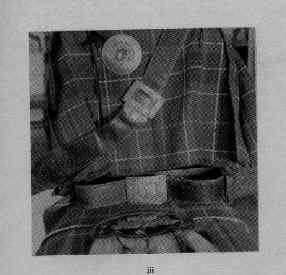 The author of the book had given credit to William Muirhead’s granddaughter, retired U.S. Army nurse Major Gracieuse L. Muirhead, Friendship, Maine for the photo of the Tartan. This would begin a long and disappointing search for Gracieuse L. Muirhead. Many phone calls later and hours on the net would yield nothing. Later through a correspondence with my, now good friend and fellow researcher in Texas, David Grossett, I would find out that sadly she had past away some 30 years before. The copy of her SSN gave us the date of death and once again the trail grew cold. While many would tell me you can’t, I could only remember my father’s and grandfather’s words who both told to me more than once. "CAN’T NEVER DID NOTHING! YOU HAVE ONLY TO TRY AND TRY AGAIN AND WITH THE HELP OF GOD, TRY AGAIN." I must confess that I had visions of that tartan ending up in a Good Will box or even the dumpster, but I pushed those thoughts aside and went back to Ray’s book and back to the son of Ray J. Muirhead. 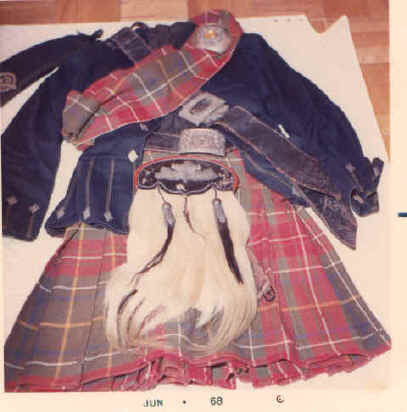 Raymond Lloyd Muirhead, Ray’s son who I called by phone to question again about his fathers research, told me that he would go through his father’s notes and things to see if he could find more on the tartan outfit. Weeks that seemed like years went by and then an e-mail from Raymond Lloyd that included a color photo of the tartan outfit. I can not tell you what a grand gift that photo would turn out to be. Like an ancient fisherman who must cast an ever broader net in hopes of catching a prized fish, I cast my net by way of the Internet. One of the letters I had sent was of introduction to The Highlander Magazine, introducing the Resurgence of the Muirhead Clan Society, which by now I had founded and was trying to promote, in an attempt to get the word out and aid our goal to gather the Clan Muirhead. In the March/April 2000 issue Vol.38 NO.2 the letter was published. From that brief article not only had we gained new members but one reader, Francis Swanson of Illinois, would see the web site address and call her daughter to ask her to check it out for her, as she did not have a computer herself. Her daughter later would go to our web site and make a surprising discovery on the Gallery page, the photo and notes on an old Tartan outfit of William Muirhead, grandfather of Grace Muirhead, who once had the Tartan outfit. Her daughter recognized the tartan and names in the caption and called her mother back telling her what she had found and told her of the picture of the old family tartan that I was searching for. Mrs. Francis Swanson then called me, informing me that after Grace past away, this outfit was given to her to keep and there it still is today. That phone call was like the best Christmas gift I ever received. Several letters and phone calls later Mrs. Swanson would again give me a great gift and honor, when she would send me membership applications and copies of pages from the William Muirhead Bible including family history, but that was just the tease for also in the package was the original tartan sash from William’s tartan outfit. What an honor I first thought, then came the realization of what a responsibility I held in my hands. A tartan that dates before 1854 woven in Scotland that has not only traveled from Scotland to Washington D.C. but has now traveled to the West Coast to Washington State. As I studied it I found a few small holes in the faded colors of the weave but all in all it was in amazing shape. For me, the feeling was like what every explorer must feel when he has found a historical artifact and more important it was a piece of ancestral history. If only I could put it to my ear, I thought, and it could speak and tell me of its life and travels. The next few days I spent taking photos and having it photo copied to get the best close up photos I could, to be sent to a well known tartan researcher and designer I had been in contact with, regarding researching the tartan for me, getting a thread count and authenticating it, if possible, for recording as a Muirhead tartan. Yet no matter what the outcome of his research I felt in my heart a connection that went beyond the surface of the cloth itself, deep into the weave of it all that it could in some way lead me back through time and closer to where the fabric of my ancestral home was first set to loom in the colors of a life I have yet to fully understand. I was referred to a tartan researcher and designer, Dr. Philip Smith of the Tartan Society, who I then e-mailed and posted pictures, history and copies of pages from the Muirhead bible. Philip was recommended and introduced to me by Howard McCord of the Clan McCord, as the person to talk to and work with on researching the Tartan of William Muirhead and/or having a Tartan designed for the Muirhead Clan Society as he Chairs the Tartan Society and is the best as far as Howard was concerned. Dr. Philip D. Smith, JR. is the Author and Publisher and co-author of Several Books on this subject. I will list a few. 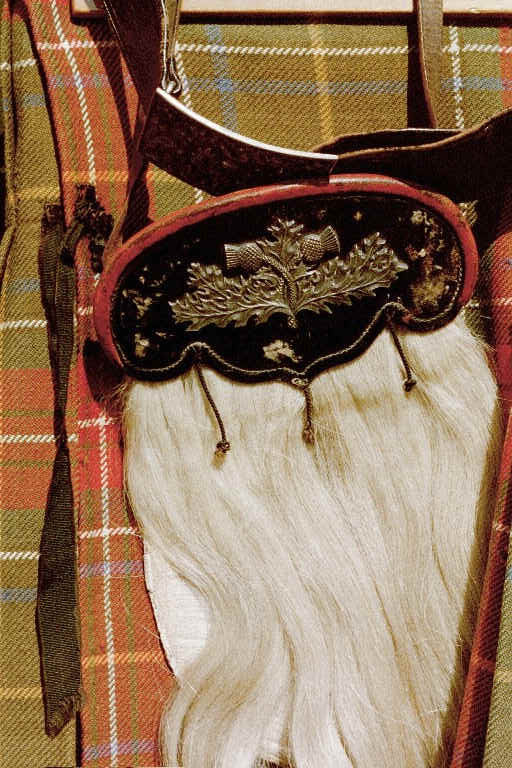 "District Tartans": by Gordon Teall, Philip D. Smith, Paul &amp; CO. Pub. Consortium Inc., May 1993. "Tartan For Me": Suggested Tartans for Scottish, Scotch Irish, Irish and North American Surnames with lists of Clan, Family and District Tartans, by Philip D. Smith, Heritage Books, Inc. Jan. 1995 and again in Oct. 1998. I think this is where I will stop this for now and go on to his Letter and Report. I thought it was important to know a little background on him before sharing his letter/report. In his first letter, Dr. Phillip Smith, reported to me that he posted me the art work samples of the Tartan, from William, Grace's Grandfather. He told me that it did indeed appear to be authentic and historic sett and well worth it in his opinion to consider adopting it as the Muirhead Clan Tartan. He thought it to be a very good looking Tartan as well. It does have historical significance and he is going to write it up as the Muirhead Tartan.. As far as his documentation goes the William Muirhead Tartan is the only historic Muirhead Tartan of documented proof to date. He has completed the thread count and would send it along for our history data base. The brown block is or was green he said, and when it was new there would have been two shades of green in it. Typically the dyes of that time, with age muted and faded out, and that in itself was an indication of the great age. Based on his study of it he would estimate that the dyed wool used could even be much older than William Muirhead, but that could only be proven by expensive tests and studies. Notes: Muirhead Tartan, Dr Philip D. Smith. "From a kilt and Plaid brought to the United States from Scotland by William Muirhead in 1854. 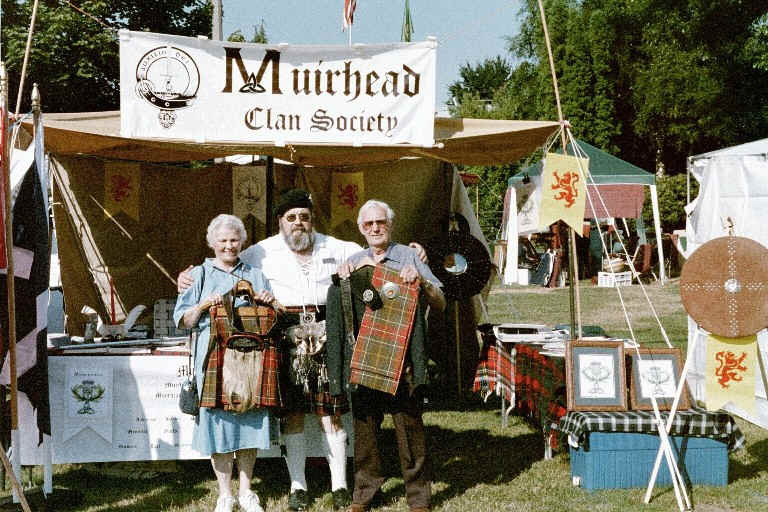 Kept in the Muirhead Family and submitted by Raymond Morehead, President of the Muirhead Clan Association. In the original piece the greens have turned brown. This Tartan is unusual in – that while Machine woven – the red next to the white pivot has an odd number of threads (9)." Thank you so much for the picture of the "Muirhead" tartan. It is a lovely and I have been able to make a thread count from it. It is now recorded in my computer I enclosed a print. The brown areas, lighter and darker, were originally green.—early dyes did that, change slowly. I enclosed a print of the tartan as I now have it, showing the green. It is really very attractive just as it is –and the provenance is great. You should be proud that you have uncovered such an historic sett. In a kilt, green will predominate.… Several ideas are enclosed—but I’d stick right with the original if I were you. Later you can have a "Hunting Muirhead" with three shades of green, not unique, but rare." I know that several e-mails I have gotten over the last few months have said that the Muirheads were not a clan, they were lowland families not Highlanders. A few have even suggested that they would not therefore have had Tartans. In reply, I have stated that any group of people acting with a common interest can and was called a clan. In several books both Highland and Lowland families are described as Clans, in line with the many historical references which use the term for both. 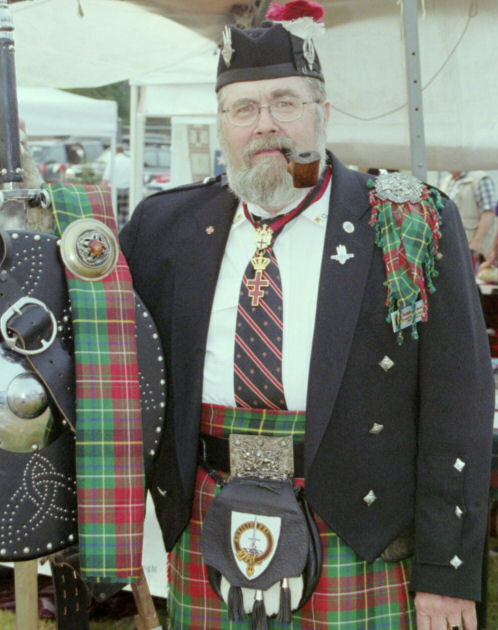 Tartans of branches of the main clans are also described as clan tartans. In the old days one of the roles of the chief was to decide the pattern and color of the plaids to be worn and this tradition is maintained to the present day in many cases. A tartan of a clan is determined by the clan chief and clansman wear the tartan of the chief. In most cases the Sett has been acknowledged for generations and is well known to the Chief and clansmen alike. 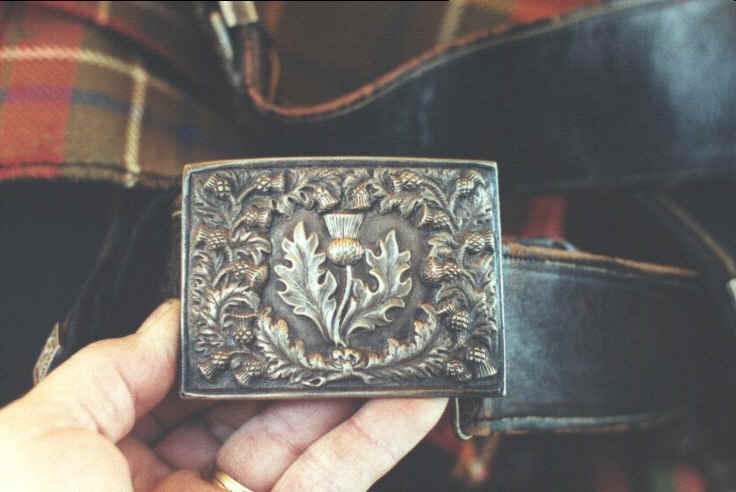 I think that if there is one thing that visually symbolizes a Scottish clan or family group it is the tartan, plaid. 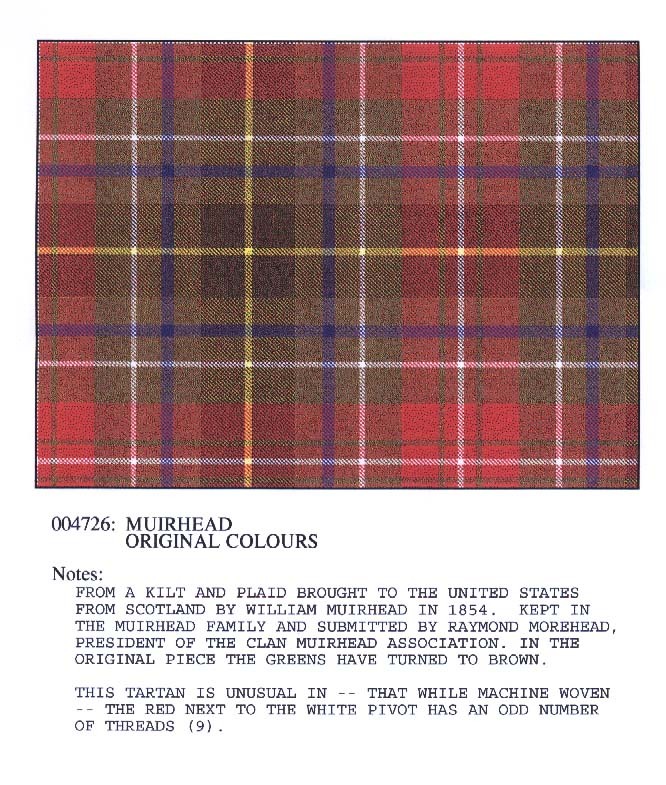 I am personally for a Muirhead Tartan and I would like to adopt the William Muirhead tartan as our own. Dr. Smith has stated it will be recorded as the Muirhead Tartan based on evidence and his research. It was important to William Muirhead to bring it to his new home in the U.S. It was important to him that Grace, his granddaughter, keep it for the Muirhead descendants and she like him passed it on to be preserved for later descendants after her death. It already has about 150 years of history associated with the Muirhead name near as we can to date estimate and as Philip has said it has great PROVENANCE and is a HISTORIC SETT that will by the way be in his next book. It is after all one of my stated purposes that the Muirhead Clan Society PRESERVE OUR COMMON HISTORICAL HERITAGE. In the end it is the Scottish Tartans Society awards an Accreditation status to tartans, including clan, family, district, regimental, corporate and clan society tartans, in the Register of All Publicly Known Tartans. The Lord Lyon maintains the Lyon Court Books and Public Register of All Arms and Bearings, in which are registered those clan and family tartans appearing in the Families’ coats of arms, usually as the background to the clan badge. 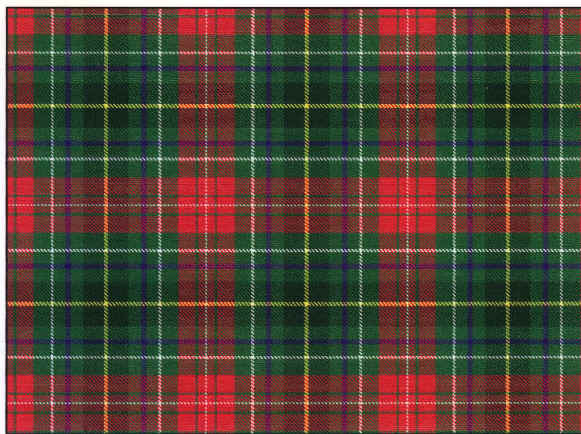 In the spring of the year 2000 I proposed to the Council of Elders that we accept the Muirhead tartan as is in its original Colors and thread count as our own. 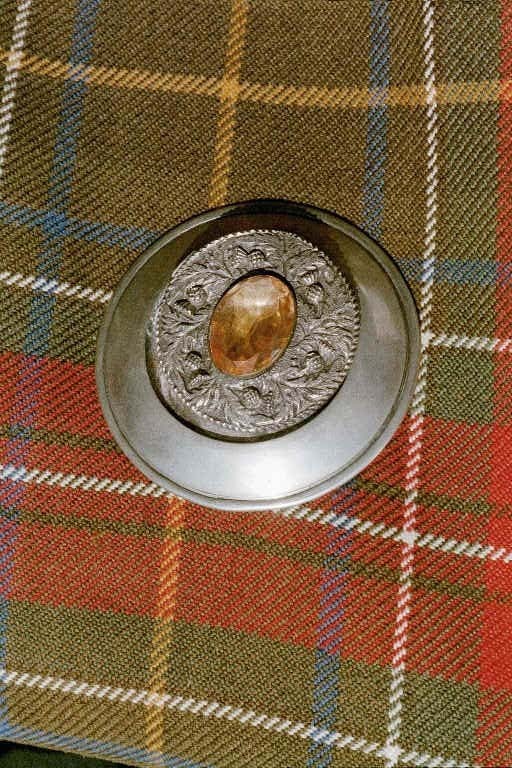 By a majority vote the Tartan that William Muirhead cherished and passed on will be given a breath of new life and soon the looms of a Scottish weaver will once again weave back into an active existence a Tartan, our tartan, bringing forth a Muirhead Tartan to symbolize the tradition and culture of Scotland that is our ancestral home.